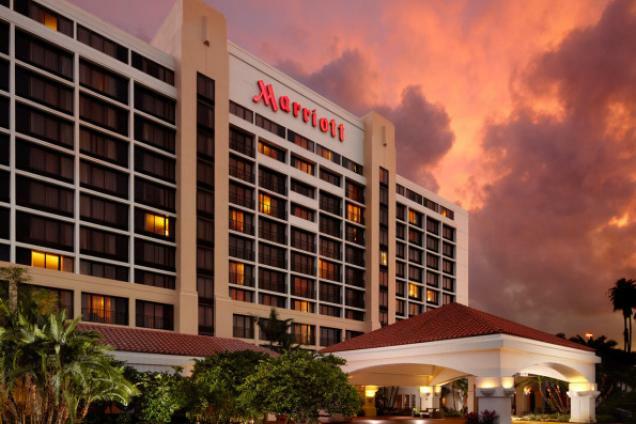 A warm Florida welcome awaits at Palm Beach Gardens Marriott. Boasting a convenient downtown location near Roger Dean Stadium, Peanut Island and Palm Beach State College, this hotel is perfect for extended-stay vacations and weekend getaways. Situated in the Palm Beach Gardens, this hotel is within 6 mi (10 km) of Bashers Indoor RC Raceway, Rapids Water Park, and Roger Dean Stadium. Cool BeansIndoor Playground and Cafe and Downtown at the Gardens are also within 6 mi (10 km). Along with a restaurant, this smoke-free hotel has an outdoor pool and a nightclub. Free WiFi in public areas, free self parking, and a free area shuttle are also provided. Additionally, a fitness center, a bar/lounge, and a coffee shop/café are onsite. All 279 rooms offer free WiFi, iPod docks, and flat-screen TVs with cable channels. Other amenities available to guests include room service, premium bedding, and coffee makers.